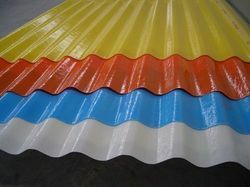 We are a leading Manufacturer of frp roof sheets, frp corrugated sheet, fiber glass roof sheets, transfaran frp sheet, plain fiber sheets and frp profile sheet from Rajkot, India. 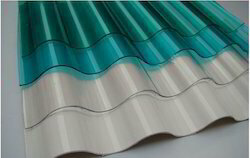 We are involved in offering premium quality Roof Sheets to our clients. These are made using high quality material and are very durable. 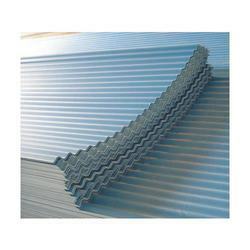 Our sheets are highly demanded among clients for various residential and commercial roofing applications. Further, these sheets can be used for both outdoor and indoor decoration purposes. We also provide customized solutions to our clients as per their specifications and requirements. Clients can avail these at industry leading prices. Our significant customers can benefit from us a premium quality scope of FRP Corrugated Sheet that is high on interest in the business sector. The offered sheet is only produced by our accomplished experts utilizing the subjective evaluation FRP material and present day systems. Offered sheet is accessible in various determinations according to the variegated requests of our regarded customers. This sheet is exceedingly requested by our regarded customers for its scratch resistance and faultless completion. 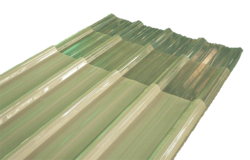 Leveraging on our experience, we bring forth an exclusive range of Fiber Glass Roof Sheets for our clients. These sheets are manufactured using high grade material, which are procured from trusted vendors of the market and are widely used for roofing purposes. We also offer customized solutions to our clients as per their requirements in terms of colors and sizes. Further, these are highly appreciated by clients for features like durability, corrosion resistance and high strength. We offer a wide range of superior quality Fiber Sheets to our clients. 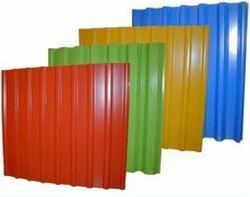 These are manufactured using quality tested material, which are procured from reliable vendors of the market. We offer customized solutions to clients to suit their varied requirements in terms of dimensions, sizes and colors. Our products are tested on various parameters by our experts before the final dispatch to customers. Further, these are offered to clients at industry leading prices. Manufactured as per the technological advancements, we offer Plain Fiber Sheets which is used in construction and architecture sectors. 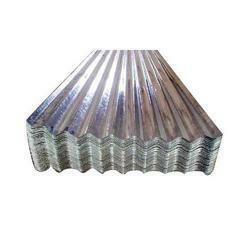 These plain sheets are suitable for making roofs for car parking and terrace. Available in different sizes, length and thickness as per the specifications laid down by our customer, we offer a huge gamut of these sheets at industry leading prices. 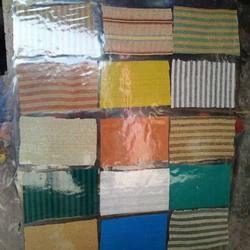 In order to meet excellent quality standards, we are supplying Corrugated Fiber Sheets.